Late last week, sister site AppShopper began tracking the Mac App Store for new apps, updates and price drops. Beyond those raw lists, the Popular view offers a look at the apps with the most activity amongst other AppShopper users. AppShopper has provided the same service for the iTunes App Store, allowing users to compile their own App wishlists to follow sales and app updates. Also tracked are the Top 200 Paid and Free Mac Apps for various categories. 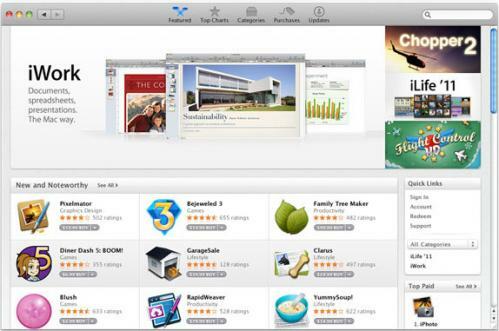 Apple launched the Mac App Store on January 6th alongside the Mac OS X 10.6.6 update. The Mac App Store will also be a large component of Mac OS X Lion which is due this summer.